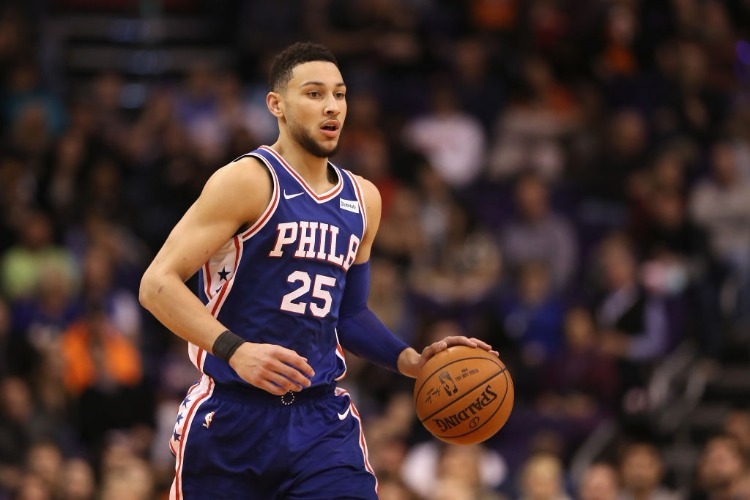 Ben Simmons says it would be "huge" to learn from Magic Johnson about being an elite oversized NBA guard as he also attempts to add an outside shot to his game. The 208cm-tall Simmons is often compared to 206cm Hall of Fame inductee Johnson for their size and similar styles of play. Simmons rarely attempts a jump shot outside the key and the Boston Celtics took advantage of that in last year's playoffs by daring him to shoot.